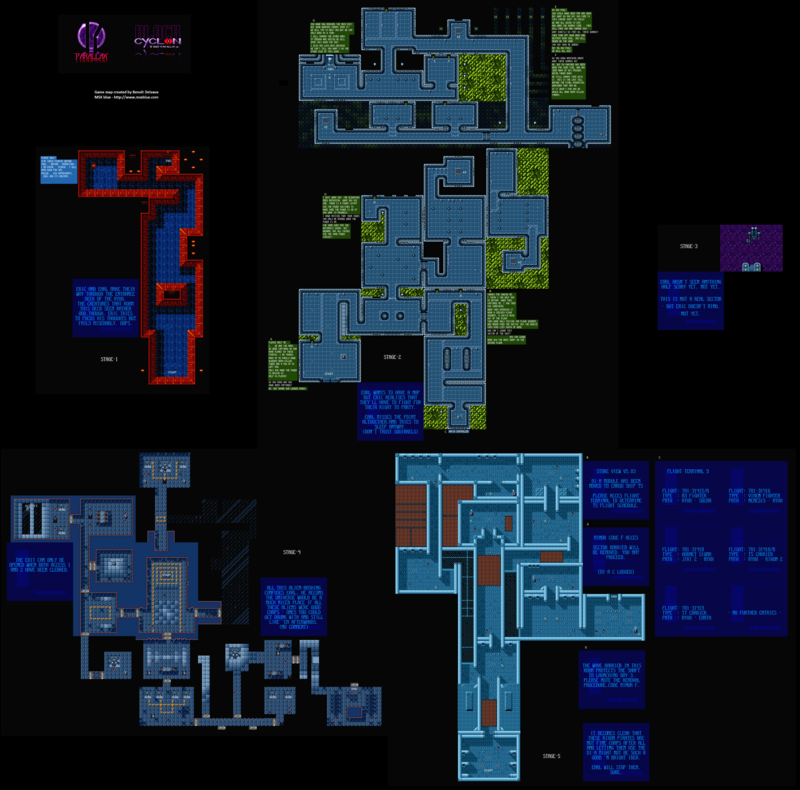 I've just finished to map Metal Gear 1 in a similar way as for Metal Gear 2, so it means a ZIP file with 3 PNG, one for the first floor, one for the other floors and one for the basements. 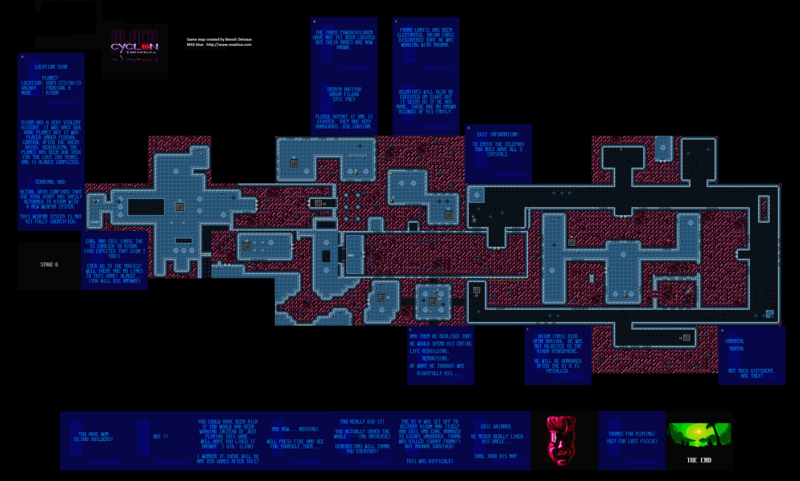 perhaps would be a quite neat idea sharing all these maps in Tiled format as well! 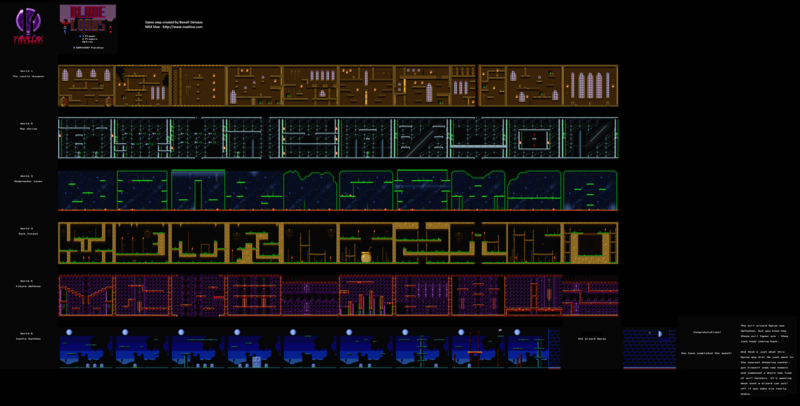 Time for another great addition on MSX Eggerland : the complete maps of Sd-Snatcher, based on the Project Melancholia English translation. Castle Adventure is a game that was provided for free to the disk subcribers of the famous MSX Club Magazine, this with number 25 released in summer 1989. It's an amazing game that uses a mix of MSX-BASIC and language machine and has been developed with Game Builder, a tool to facilitate the creation of such games. 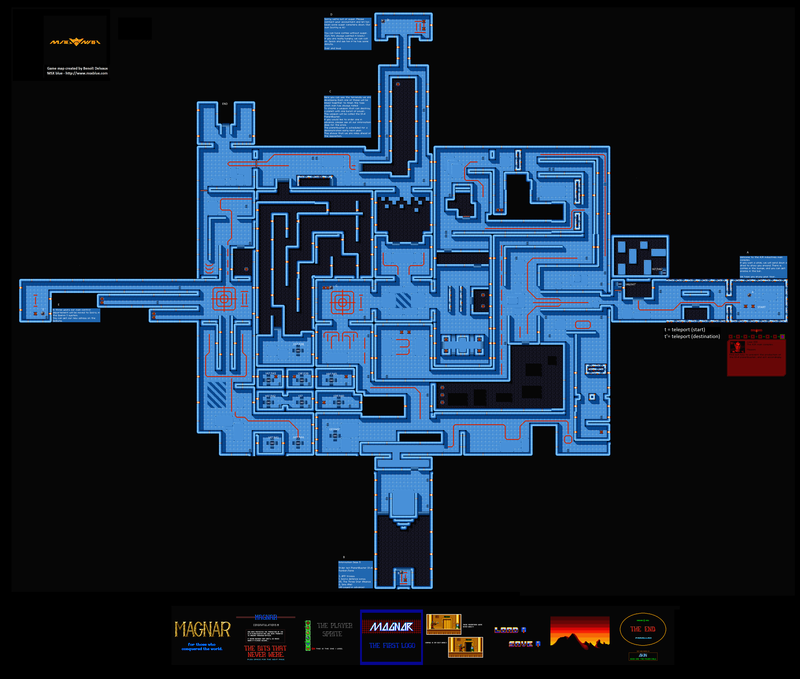 All the detailed tips are available in "Het Grote MSX Peeks, Pokes en Truuks Boek Deel 4", but now you can have an high-colored map! Enjoy and Merry Christmas! Delta Force is the second game created with Game Builder, but it uses also the MCBC Basic compiler, so for example the moves of the hero are faster, if you compare to Castle Adventure! The game was provided to the disk subscribers of MSX Club Magazine 31 (September/October 1990) on a single disk (360kB). No need to present this legendary game, the first Parallax production! After a long time without new game maps made by myself, time for a big surprise ... and I guess it will be appreciated very much by John Hassink. 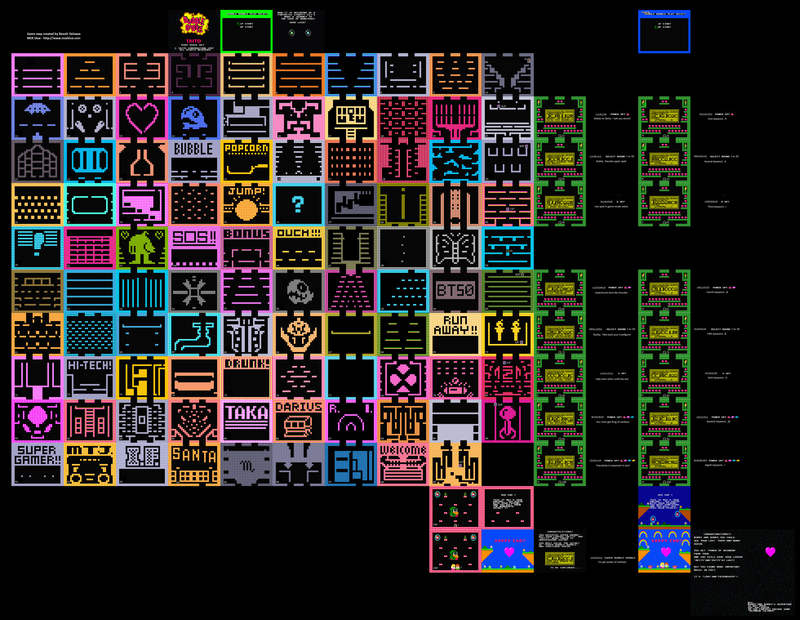 All the maps of XZR, this great game, that should be deserved to be translated. Anyway, with only a few Japanese tips, I've succeeded to map the full game, including some graphic parts that are not normally acesssible (but the blueMSX trainer has helped me very much!). 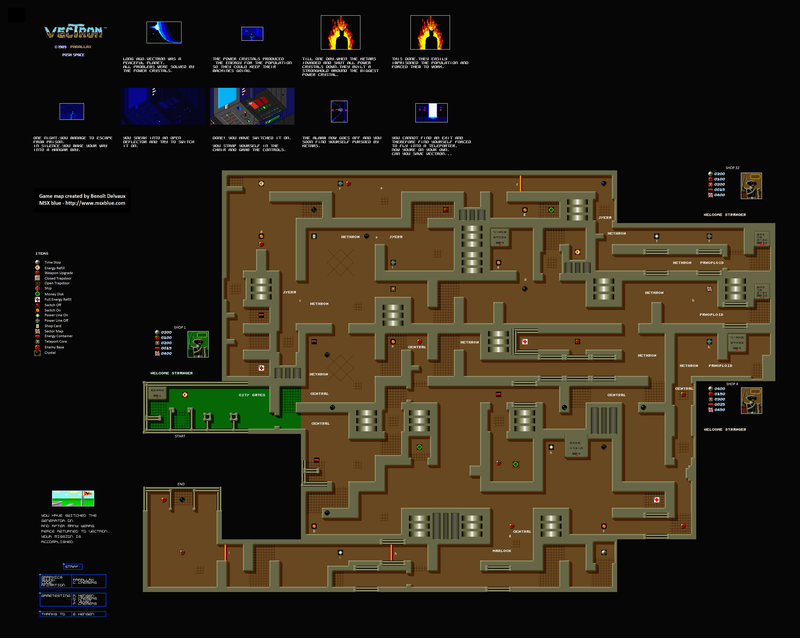 Easter time is a good time for a new MSX game map. This time, let's explore the second game created by Parallax, the hyper-copy protected ARC!!! 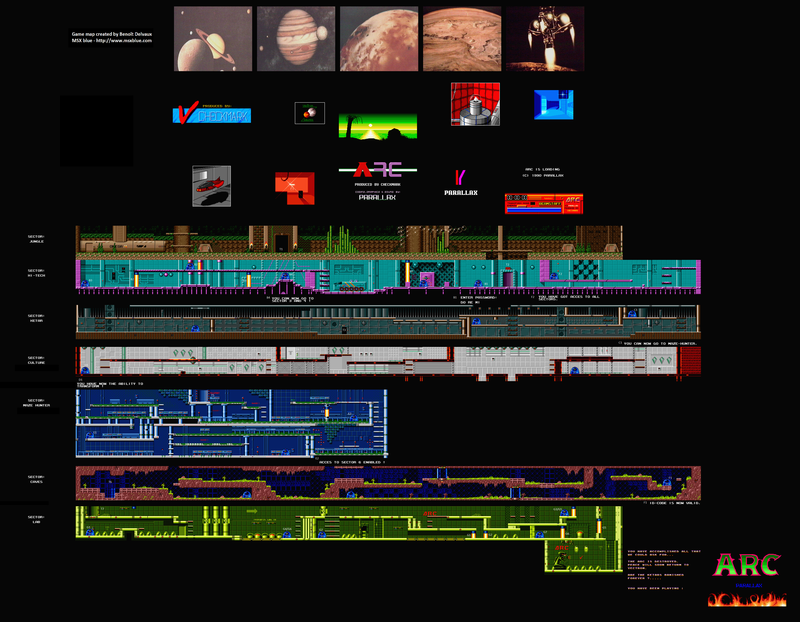 Hi mars2000you, thank you for keeping posting here your maps, such a nice work As you might have noticed, we are doing some changes in the forum, if you wish to suggest anything, please feel free to contact with me. Time now for the third Parallax game, MAGNAR. A giant game on 3 disks with many labyrinths and enemies!!! You will notice that the word ICE appears when you look at the global picture for stage 3! It's a great game. Enjoy now the maps (including the solution to difficult teleportation puzzles)! And now BLACK CYCLON! Probably the most difficult Parallax game, with still unsolved part of mystery. I had to use a y-pos cheat to get the 9th and final crystal as it seems outside of reach when you take a look at the map. Maybe there's an hidden warp to the central 'track' and something special needs to be made to activate this warp, but until now no-one seems to have reached the end by the normal way. 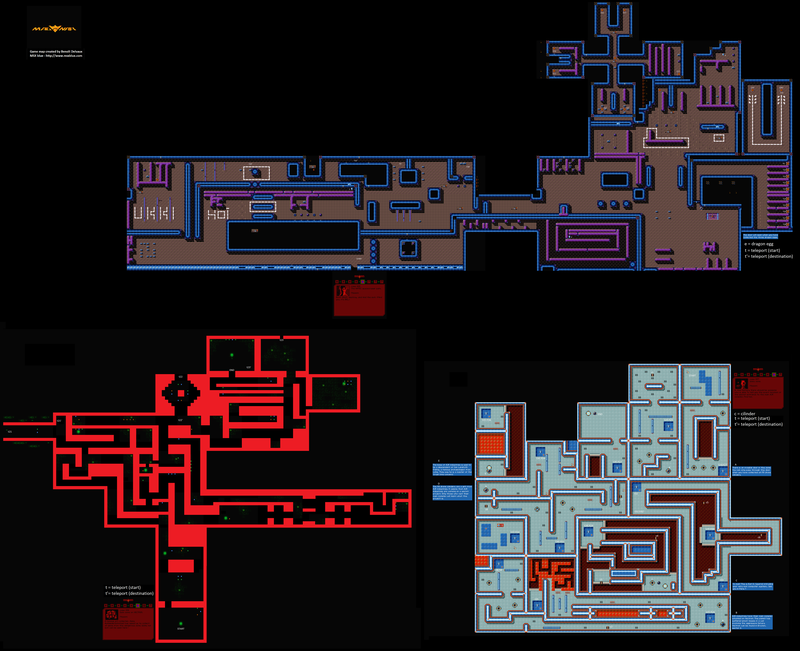 Anyway, here are the maps, including the screens of the final part!